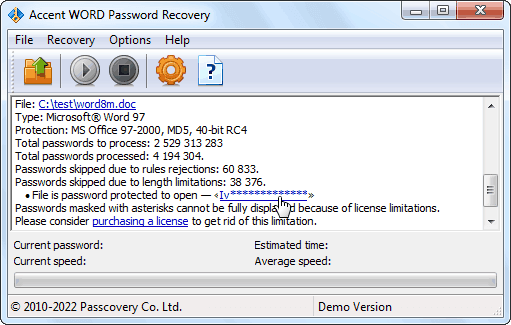 As an example one of our password recovery products was taken – Accent WORD Password Recovery, used for recovering MS Office passwords. Other products are activated in the same way. 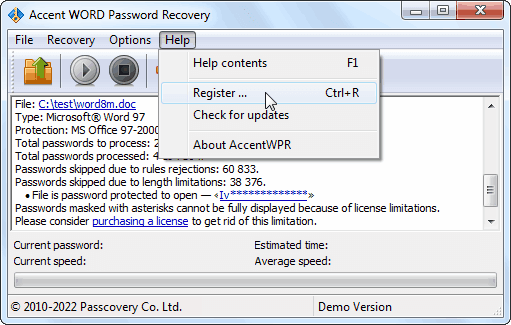 Only the registration keys are changing. 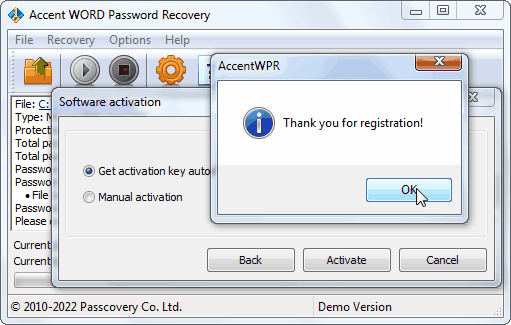 Each product has an unique registration key.